Home Green Team Blog What’s the story of multifamily recycling? What’s the story of multifamily recycling? Although you may have heard Dallas talk about apartment recycling in the past few years, the path to apartment recycling in Dallas actually started in 2013. Shortly after the Local Solid Waste Management Plan (Zero Waste Plan) was passed, commercial stakeholders, City staff and other organizations got together that summer to discuss how to improve recycling during the voluntary phase of the Zero Waste Plan. Unlike other major Texas cities, Dallas apartments were given a voluntary period of seven years to improve recycling when the Zero Waste Plan passed in 2013. By the Fall of that year, Sanitation staff had compiled a list of potential questions (e.g. Do you provide recycling for all residents? Do you have recycling tonnages?) for apartments, hotels and office buildings and put out a bid to procure the services of a data consultant. 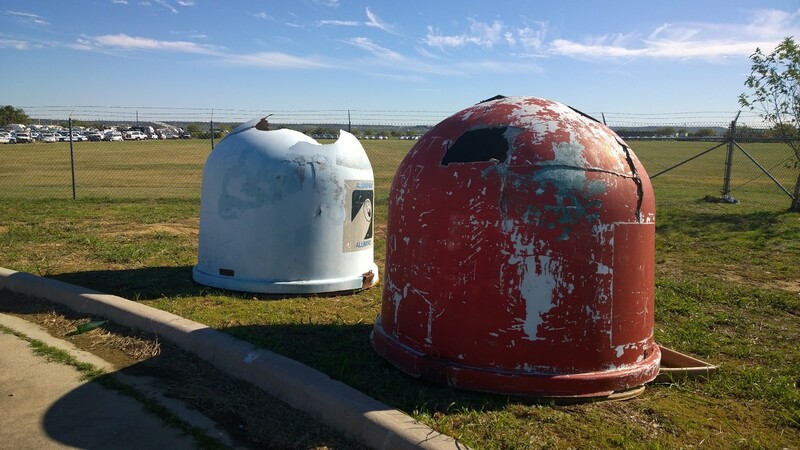 After several conversations with the Apartment Association of Greater Dallas (AAGD), BOMA Dallas and the Hotel Association of North Texas (HANTx), the City learned that each property collected data very differently and it could be a bit of a puzzle but what Sanitation was hoping to find was an average recycling rate for each of the commercial sectors. After sending surveys to all of the group’s members—and sending numerous survey reminders—we had our answer. 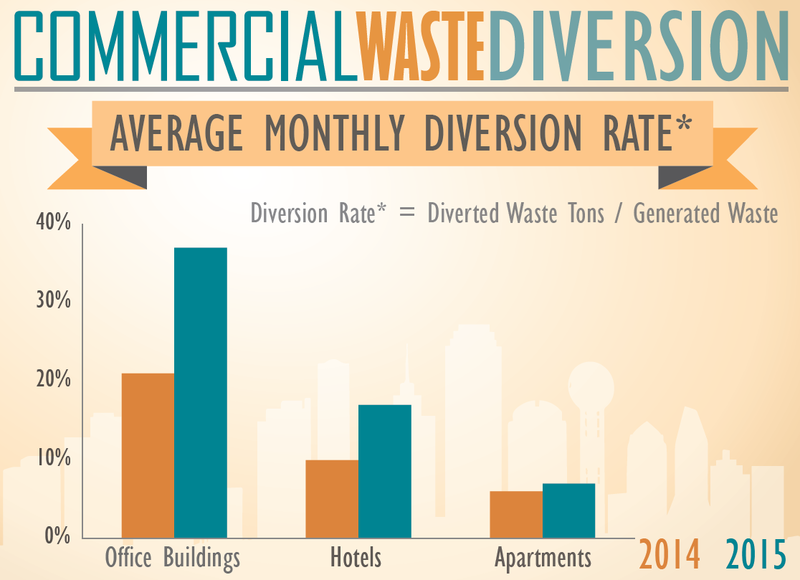 Only 37% of Dallas apartments provided recycling to their residents in 2013. Fast-forward to 2017 and the recycling rate dropped to 32%. It’s not difficult to see why the City Council decided to mandate apartment recycling now rather than wait to 2019. Over time, the results were clear. Throughout the years, Sanitation did listen to ideas from the group and implemented various programs. After hosting quarterly meetings for five years, that is one thing you learn: how to listen. A Green Business Certification to recognize businesses that recycle, a small-scale affordable recycling collection program for small businesses and online flyers, pamphlets and posters were just some of the ideas brought to the table by the Texas Campaign for the Environment, AAGD, BOMA and HANTx then implemented by Sanitation. Those programs will be crucial in the next phase of apartment recycling. On January 1st, 2020, any apartment with 8 units or more must provide recycling to its residents. However, if you’re living in a 200 unit multifamily complex and the management company only has a few small bins around the property, that won’t suffice. A property manager will be required to provide 11 gallons of recycling capacity per unit, once a week. So, if you’re producing two 5-gallon buckets of recyclables every week, the property should be able to accept that material without the roll cart, dumpster or compactor overflowing. It’s important to remember though, apartment managers can file for a waiver which exempts them from recycling if there’s a lack of space or even contamination. If a property consistently struggles with contaminated recycling bins, it could lead to the property being exempted from providing recycling. That’s why it’s important for everyone to do their part and Recycle Right. For more information on what you can recycle, please go here or DallasRecycles.com. apartments, Dallas, multifamily, recycling. Bookmark.